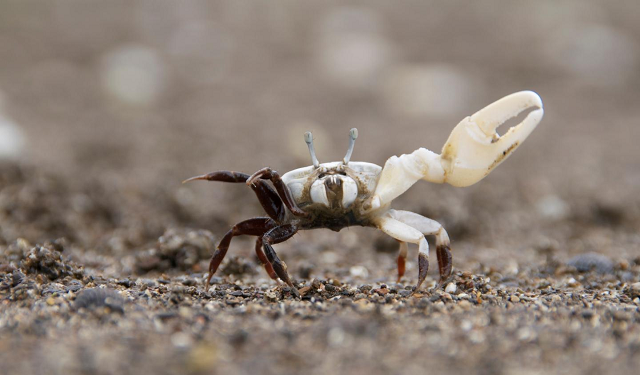 Male fiddler crabs use a number of methods to attract a mate, including waving their claws to draw females to the entrances of their burrows, and emitting vibrations to invite them in. But females are discerning, according to a recent study from researchers in Japan: they preferentially visit males that produce vibrations at a rate correlating with larger size. The findings were published last month (May 30) in The Science of Nature. In manipulative experiments, the team used a “dummy female,” controlled by a length of wire, to elicit courting behavior in males. Recording males’ vibrations with a microphone, the researchers found that males with larger carapaces were more likely to produce higher pulse repetition rates. “These factors imply that the vibrations convey information on male characteristics, such as body size and stamina,” study coauthor Fumio Takeshita of Nagasaki University said in a statement, suggesting that females stand to gain in reproductive fitness by using the vibrations to aid mate choice. 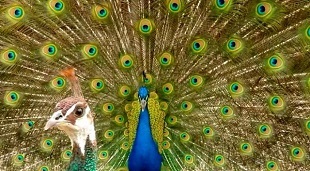 Peacocks do more than simply spread their colorful fans, or “trains,” for females, according to a study published earlier this year (April 27) in PLOS ONE; they vibrate their tail feathers at resonant frequencies, thereby providing a noisy, shimmering show of color while using the least muscular power. The researchers also found that, despite the rattling, the trains’ eyespots stay relatively still during displays thanks to microhooks locking barbs in the eyespots together. The surrounding barbs making up the rest of the train, by contrast, are free to move independently, resulting in the shimmering effect. In many insects, bright coloration serves as an indicator of unpalatability and a deterrent to potential predators. But visual cues aren’t much use against bats, which locate food using sonar. 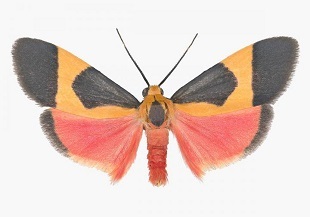 Tiger moths—potential bat prey—have found a way around this problem, according to a study published earlier this year (April 20) in PLOS ONE: they produce ultrasonic sounds to signal their toxicity. “The signals are, in essence, a warning to the bats that the moth is unpalatable and potentially harmful if ingested by the bats,” study coauthor Nick Dowdy of Wake Forest University said in a statement. He added that the study represents the first demonstration of this behavior—known as acoustic aposematism—in a natural setting. To demonstrate the importance of the signal, Dowdy and colleagues removed the soundmaking organs from two tiger moth species, Cisthene martini and Pygarctia roseicapitis, and then released them into a field. The researchers found that moths with intact organs were 1.6 and 1.8 times less likely to be captured than silenced insects in the two species, respectively—although bats spat out most of what they’d captured in all cases. Parental care is costly, and although growing evidence suggests offspring survival is enhanced by paternal as well as maternal care, there are few natural examples of fatherly input, let alone exclusive paternal care. A notable exception is that of giant water bugs in the genus Appasus, whose males carry eggs laid by females on their backs until hatching. Now, researchers in Japan have provided insight into how this unusual setup gets maintained: females preferentially mate with parenting males. “Our results suggest that sexual selection plays an important role in maintaining elaborate paternal care in giant water bugs,” the authors wrote in a paper published last month (May 4) in Royal Society Open Science. 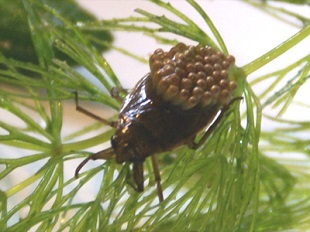 To investigate female preference, researchers carried out a mate-choice experiment in which female Appasus bugs could choose between a male carrying 10 eggs, and one that had all the eggs on its back scraped off by experimenters. Although the courtship displays of males did not differ depending on the presence or absence of eggs, females in A. major—and, to a lesser extent, A. japonicus—consistently favoured egg-carrying males in trials. Some researchers suggest that social play is facilitated by adoption of a “50:50 rule,” by which individuals maintain a balance between wins and losses with their playmates. But there is no such equality among wolves, according to a study of captive populations, published last month (May 11) in PLOS ONE. 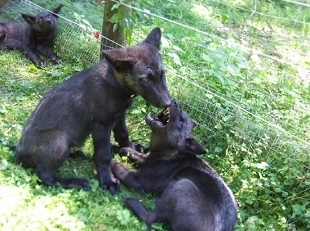 “The study presents the first evidence that wolf puppies do not show egalitarian play styles,” study coauthor Jennifer Essler of the Wolf Science Center in Austria, said in a statement. When play occurs between two animals that are unequally matched—for example, an adult and a puppy—maintenance of the 50:50 rule requires stronger playmates to demonstrate self-handicapping behaviors, such as rolling over on the ground or displaying a belly-up posture. But while puppies showed fairly equal play with other wolves their own age, the researchers observed that “adult wolves do not appear to exhibit self-handicapping behaviors to engage the puppies in play,” Essler said in the statement. In fact, it was the puppies that engaged in self-handicapping and less offensive behaviors when interacting with more dominant playmates.